American Trust Home Buyers Need To Sell Your House Fast? We Buy Houses! Join The 100’s Of Home Owners Who Sold Their Dallas Forth Worth House In 7 Days Or Less! If you’re searching for a way to get rid of your real estate problems and looking for a reliable home buyer to act fast… then keep reading on how America’s most trusted home buyer can do that. We know that selling during a difficult time can be a daunting experience in one’s life. But here’s a little secret… as long as you’re with us, your situation won’t get in the way of selling quickly. Because we buy houses in Dallas Forth Worth professionally and with cash. There are many situations that can get in the way of a normal house sale on the market. Are You In Foreclosure..? Imagine… being faced with a foreclosure and dealing with the stress of losing your home, your equity, and having your credit ruined. According to this, 1 out of 200 homes will be foreclosed on and their lives ruined because they waited too long to handle the issue. A foreclosure can ruin your credit and ALL your equity can disappear. If you’re receiving foreclosure notices, you have very little time to get rid of that burden. And selling on the regular market can cost you months of time and hassle. Bad Tenants..? Or you may be tired of dealing with tenants, damage every year that costs you $3,000-$10,000, and evictions that can costs $4,000 every time…. luckily, you can dump all your real estate headaches on us today. Landlording isn’t for everyone. And sometimes choosing the wrong investment or choosing the wrong tenants can cost you a lot of headaches…. like… every month receiving phone calls from your tenants about ANOTHER thing that broke in the house. Or calling your tenants every month about late payments. Tired Of Dealing With It..? Or you’re just tired of dealing with the house because of unforeseen life events that have fallen on your lap… fortunately, you can stop all the stress and sell your house fast without any hassle. and risking a potential buyer (if you find one) dropping out of the deal because he/she couldn’t get financing. But the good news is that you won’t have to deal with any of that. Selling your Dallas Forth Worth home is as easy as one phone call to (214) 329-4444. You’ll get a no-obligation cash offer… no inspectors involved. You get to sell your house in 5 days… without ever dealing with any hassles. 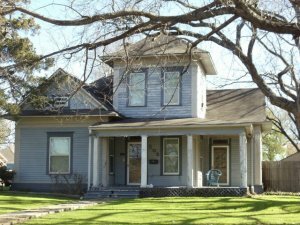 You sell your house as-is… we buy ugly and pretty houses in the Dallas Forth Worth area. You sell your house regardless of location… even though we are national, we have local representatives throughout many cities who know the area and know the people. You get to sell without ever doing any repairs… we buy houses in any shape and any form. You get a guaranteed home sale… when we make an offer that means we want to buy your house. Our professionalism guarantees we don’t play any games like many other investors do. You get a no-risk sale… agents take none of the risks when they list your house. If you were to list, you do most of the brunt work, pay for the costs, and take on all the risk if the house doesn’t sell. We inherit all the risk when we purchase your house while you move forward with your life. To be honest, our service isn’t for everyone. If you’re looking for a good agent to list your house and to get top dollar, then we’ll recommend you use an agent. However, if you’re in need of a fast and reliable homebuyer today who doesn’t care what your house looks like (regardless of your situation) then we’ll help you. Then get your cash offer today (no-obligation) with a solution to your situation from the most trusted and local homebuyer in America. Or… take a few seconds to fill out the form and we’ll get back to you ASAP with your offer. Do you have a medical situation that prevents you from dealing with repairs, clean up, and appointments while your house is listed? Did you inherit a house full of clutter and need repairs that have you saying, “I just don’t want to deal with this anymore”? Or are you in a financial situation and need to sell your property in Dallas Forth Worth ASAP. In a stressful divorce and the added hassle of listing a house right now just isn’t worth it? Need to sell your house in less than a week because you’re moving and can’t afford the house payments any longer? 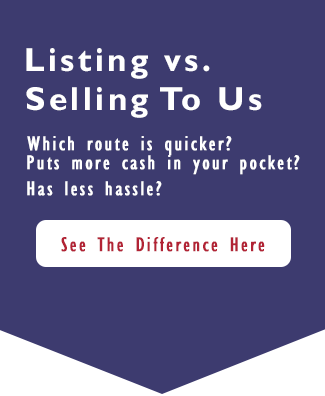 The Most Trusted And Reliable Way To Sell Your House Fast. The only way to get your house sold quickly and hassle free to America’s most trusted home buyer. The team at American Trust Home Buyers helped me get out of my property quickly. I live out of town, and inherited the home from my father, who had passed away. I didn’t want to travel back and forth to deal with it. They made me an offer that was good enough for me, and closed in less than a week. I’d recommend them to anyone looking to sell a property quickly and easily. Mike at American Trust Home Buyers is a straight shooter. Our house needed a lot of work, which we didn’t want to do, and he did exactly what he said he’d do. I didn’t want to have to ever go back to the house again after we signed the contract, and I never did. I can’t believe how easy it was to sell my house, and we were able to move on to a new chapter. Why Won’t My House Sell In Dallas Forth Worth? I Inherited a House, What To Do? – Should I rent or sell in Dallas Forth Worth? Help, I’m behind in my mortgage payments in Dallas Forth Worth!